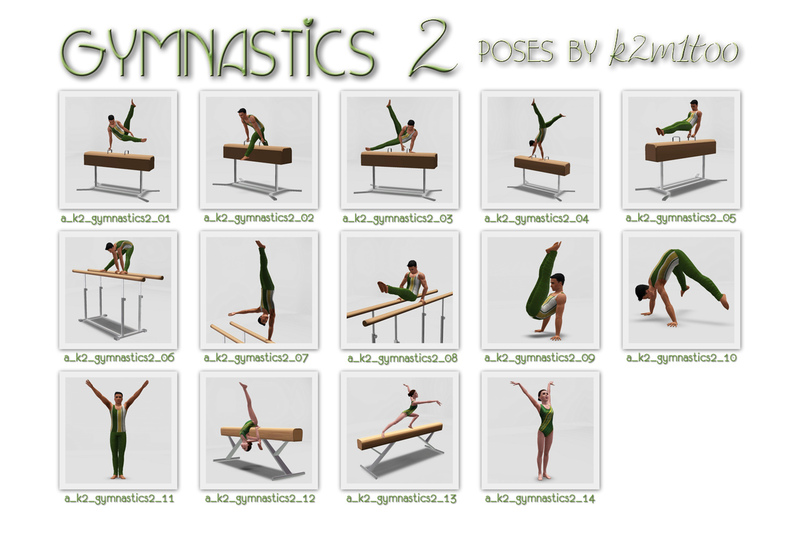 You will need the pose player to use these poses! They WILL NOT WORK without it! More gymnastics poses! This this time, the poses are mostly for the men. 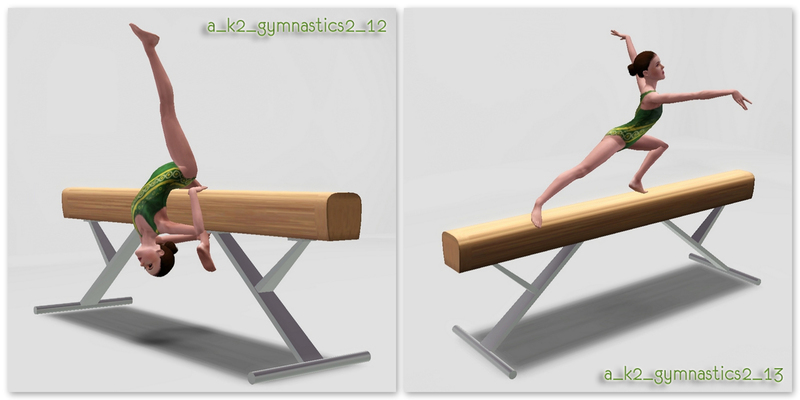 Most of these poses were designed to go on gymnastics equipment, but some are suitable for "floor" routines. 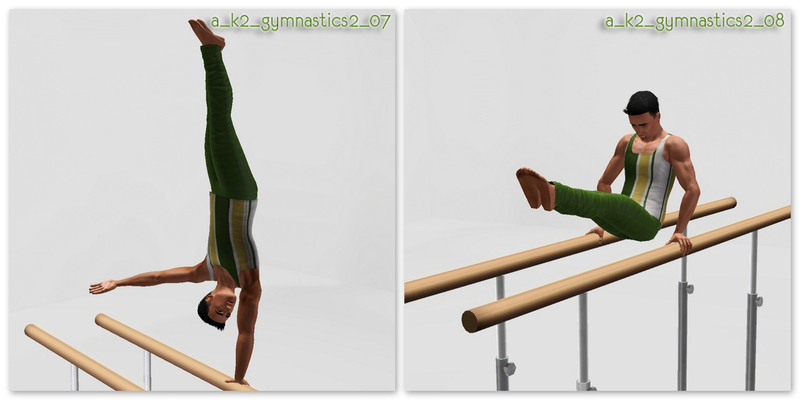 The gymnastics equipment used is from the "Sports Set" by Severinka. ?? - Added previously un-released "bonus" pack. 30-Mar-15 : Updated pose lists to include pose codes in the 'Name' field. 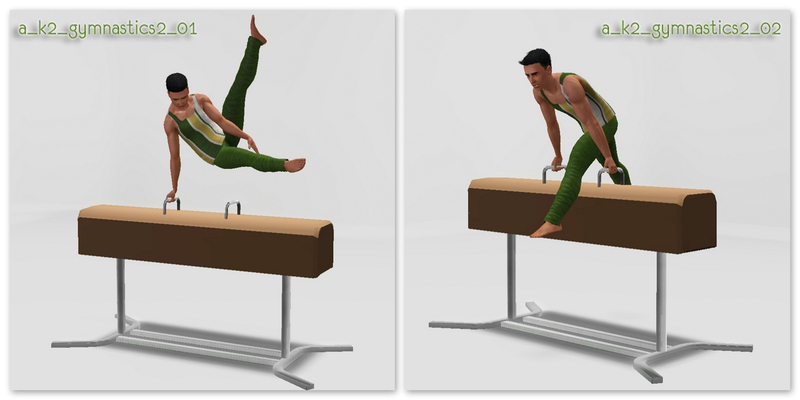 *** Pose #4 was designed to work either on the pommel horse or on the floor. 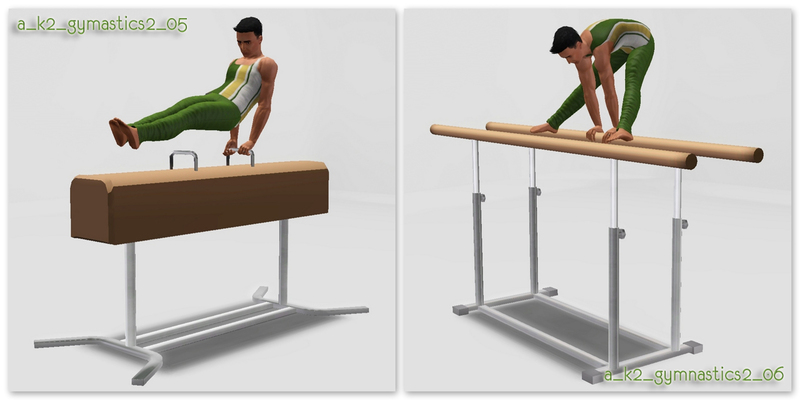 To raise it to proper height to go on the pommel horse as shown, you will need to use OMSP. You will need to raise it approximately 1m + 15 cm. Severinka :: Sports Set. 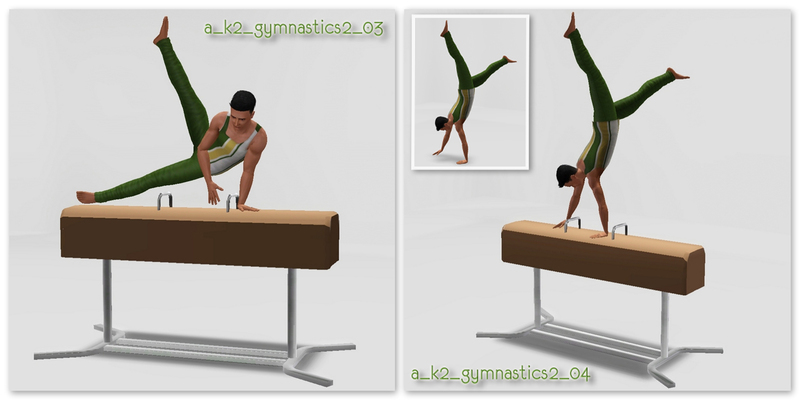 The Pommel Horse, Parallel Bars and Balance Beam were used. All clothing and and hair are stock EA from the Base Game. The male gymnast's hair is from Pets. On some of the poses, there may be some "distortion" in the leg-to-hip connection and/or crotch area. This is unavoidable because of the way EA meshes work. For the most part, the "distortion" is most noticeable at angles that are probably not the best for photographing the poses anyway (i.e. from behind). 304 people have said thanks to k2m1too for this download.